Earlier this month, Jason Aldean and his wife, Brittany, announced they were expecting their first child together. 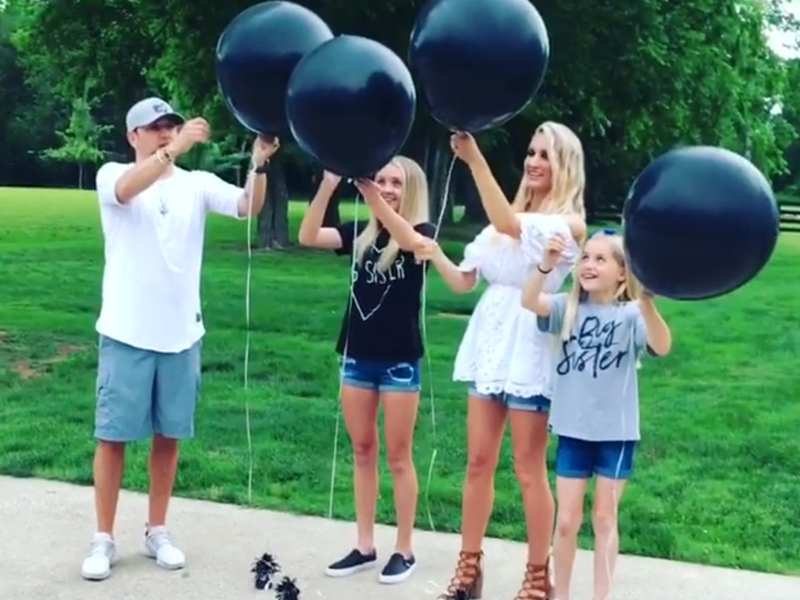 On Monday (May 22), Jason and Brittany—along with Jason’s daughters Keeley and Kendyl—revealed the gender of the baby in an Instagram video. The family of four popped giant balloons filled with blue confetti to reveal that a baby boy is on the way for the Aldeans.